à Montréal (UQAM) Law and Context May 14-15, 2015. Abstracts (in English or French) should be submitted by Jan. 30, 2015. 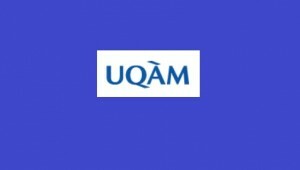 The Faculty of Political Science and Law, UQAM, seeks to promote the analysis of the dynamic links between law and its social environment. Indeed, legal phenomena might be fully assessed only through analysing the relationships between legal norms and their philosophical, social and political foundations. Therefore, the contribution of other disciplines, such as social sciences and humanities, is essential to the in-depth study of law. This year’s international conference, “Law and Context”, will offer graduate students sharing this vision the opportunity to come together in order to collectively reflect on the way that law emerges at the intersection of different social interests, and on the relationship between law and its context, from a local, comparative or international perspective. The call for papers is on SSRN.